Life on the Journada del Muerto /Hawks Aloft Inc.
Our longest running project, raptor monitoring in the Rio Grande and Estancia Valleys, began the year that we were born, 1994. All of the routes (8) are surveyed six times a year during the summer and winter months. It is our largest citizen science project and all routes are surveyed by volunteers. It has been that way since we began, an all-volunteer project. 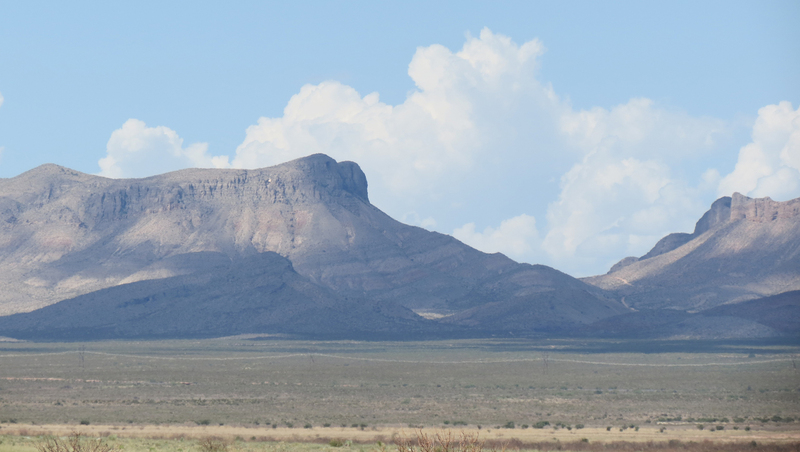 The routes take us to some pretty spectacular places, like the Armendaris Ranch near T or C, New Mexico. These are the Fra Cristobals, contained entirely within the ranch boundary, owned by Ted Turner. 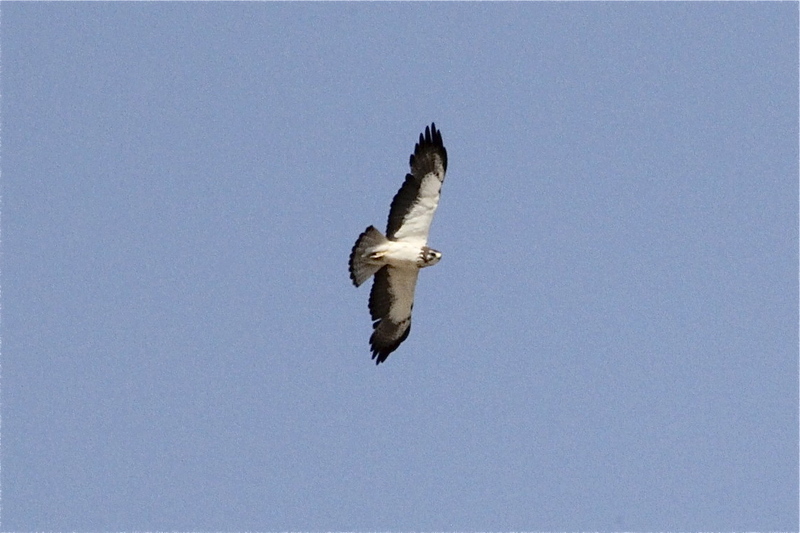 The most common summertime raptor is the Swainson’s Hawk, easy to identify in flight as they are the only North American buteo that has a light colored leading edge to the wing with dark flight feathers. In flight, these buoyant birds hold their wings in a dihedral, or “V” shape, and rock slightly with the winds. This image was taken by Bonnie Long, one of our surveyors. 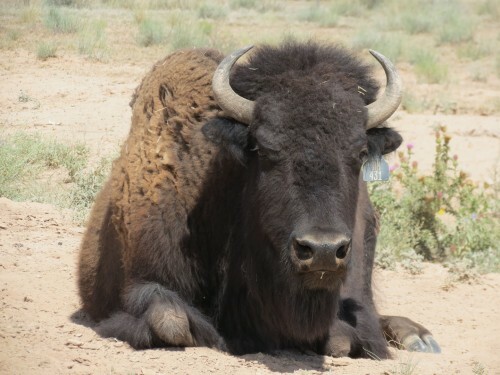 Also found on the ranch are bison, which are raised for their meat. Because the ranch is so large, the herds can roam over large distances much like they did before development in the plains established fences and the large herds were hunted to near extinction. 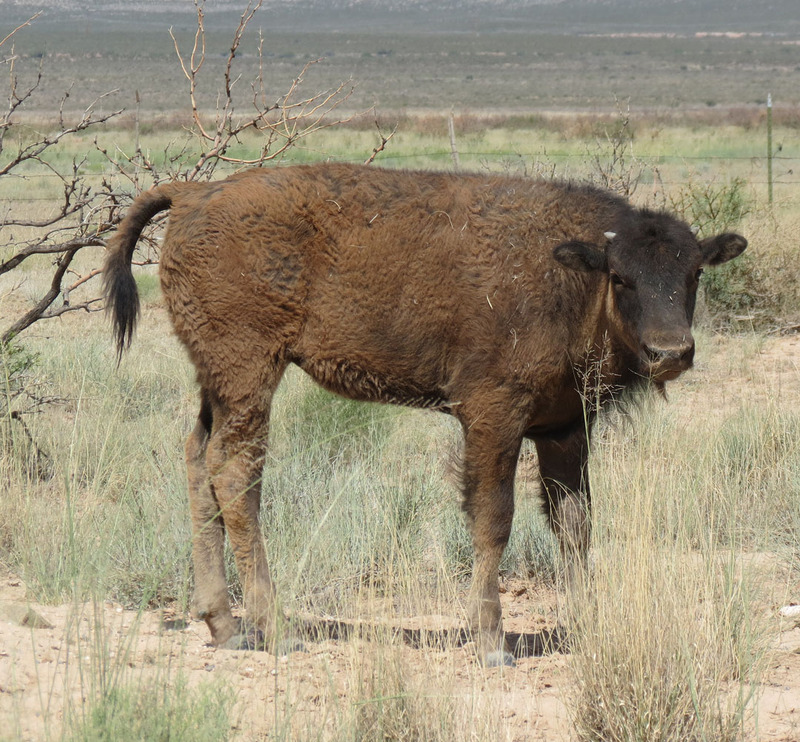 While we were there this week, many calves were out with their moms! Not so formidable looking at this size! But, Mom is another story! Fortunately, she wasn’t very interested in us this very hot, sunny day in the middle of the Journada del Muerto. The valley of the Armendaris lies in what might appear, at first glance to be a desert wasteland. However, a closer look reveals a vast array of wildlife. They love animals on the ranch, not just their bison. Automated feeders and waterers dot the wide open range and attract abundant birds and other critters. 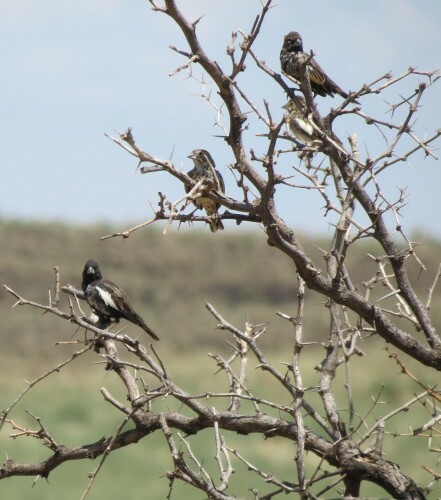 We were treated to small flocks of Lark Buntings that were molting into winter plumage. This largish sparrow has already finished its nesting for this year and is forming nomadic flocks that, by winter, may include large numbers of individuals. 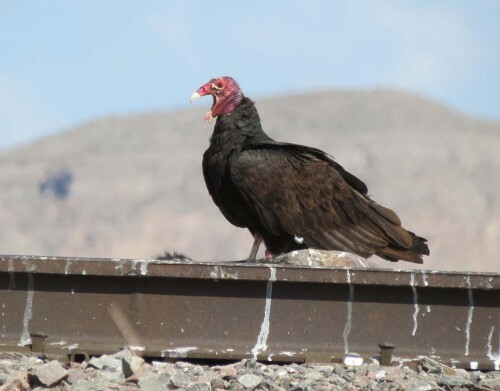 Finally, alongside the railroad tracks, an unidentified animal, possibly a javelina, was a victim of the train that passes through several times a day. “How am I ever going to be able to eat all of this feast?” he/she seems to say. It was a beautiful day in an amazing wildlife area!